About the writer: I am Scott Neal, former golden gloves boxer and Judo competitor now boxing coach and personal trainer at Strongstyle gym. Currently i am the director of the Cleveland based fight gear company called TRUassassin Fight Gear and Apparel. My goal here is to grab the pulse of fighters and fight fan consumers to provide them the tools and the attitude in which they need. As a trainer, my goal is to bring the element of boxing into the sport of MMA in which it needs. I am at this point, in the middle of writing by book called “Sweet Science applied into MMA” which should be published by 2013. 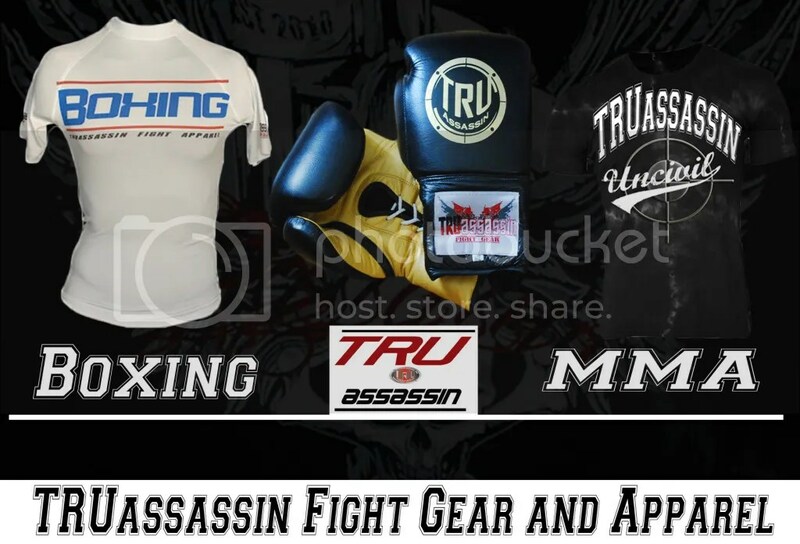 In these TRUassassin blogs, i will not only cover mma and boxing updates, new products and events but we will share new ideals and fight techniques through blogging and/or video. So follow us through this journey of entertainment and life lessons of which we call the fight game.